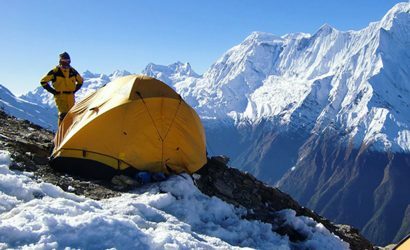 Jiri to Everest Base Camp Trek is an adventure trek for those trekkers who are physically fit, in good health, enough holidays and are determined to challenge themselves with unpredictability of mountain life. There are two routes to Everest Base Camp trek: one that begins from Lukla and another that begins from Jiri. 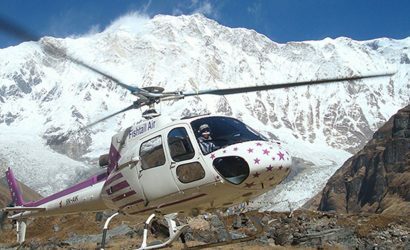 This Jiri to Everest base camp trek itinerary has been designed in consultation with professional mountaineers and guides ensuring adequate time for proper acclimatization. 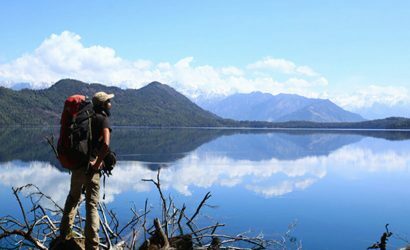 While on the trek, we also pass through the alpine forests, glacial rivers, and enjoy the warm hospitality of ethnic people. Visit the Buddhist monasteries with prayer flags, the Sherpa and other ethnic villages with their simple yet rich mountain lifestyles. The views are gorgeous, and walking in the Himalayas proves to be quite an intense experience. 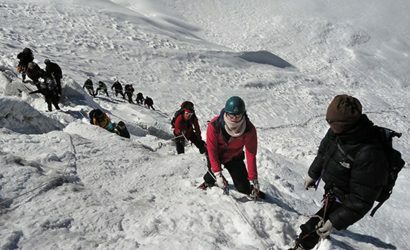 Jiri to Everest Base Camp Trek involves a tremendous amount of up-and-down walking. A glance at a map will show why. All the rivers in this part of Nepal flow south from Himalayan glaciers, but the trek route proceeds east. Therefore the track must climb to the ridge that separates two rivers, descend to the river itself, and ascend the next ridge. 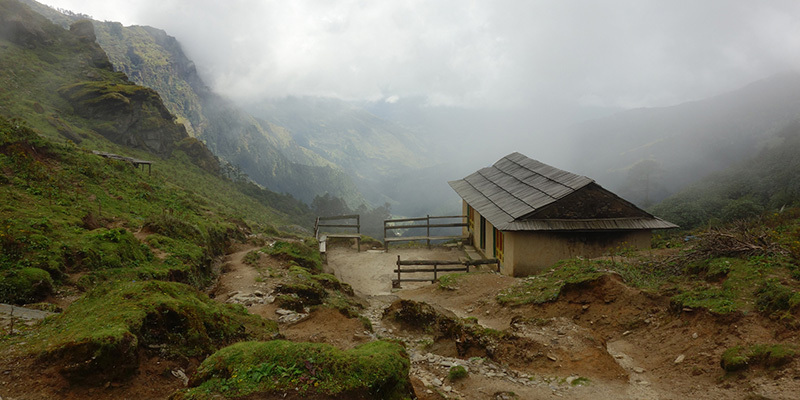 Even though the trek begins at an elevation of 1860m, on the sixth day it crosses the Dudh Koshi at only 1500m – after considerable uphill (and downhill) walking. If we total all the uphill climbing, it comes to almost 10,000m of elevation gain from Jiri to Everest base camp. The road to Jiri saves almost 4000m of uphill walking over the old approach from Lamosangu that was used in the 1970s, but this is still a long, hard trek with many steep hills. Pick up at Tribhuvan International Airport upon your arrival. We transfer you to the hotel in Kathmandu. Overnight in Hotel. We go for a sightseeing tour around Kathmandu and visit Pashupatinath, Boudhanath, Kathmandu Durbar Square, and Swayambhunath. All of these sites hold religious and historical significance and are listed under UNESCO's world heritage sites. Later in the evening, we gather to discuss the details of the trek. Overnight in hotel. Day 03 : Drive from Kathmandu- Jiri- Bhandar. 8-9 hours. Leaving behind the capital, we take a scenic full day ride to Jiri and . Enjoying the countryside view throughout the ride, we follow the Sun Koshi River for a while and cross it over a bridge to reach Mude. Then we continue on the trails amid the forest to reach the town of Jiri. 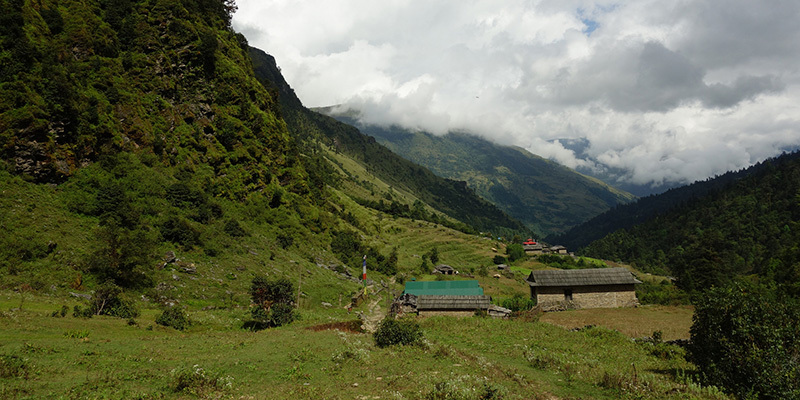 Jiri is a small town in Dolakha which is famously known as the Switzerland of Nepal for its scenic beauty. Before road construction to Bhandar Juri was the starting point of this trek but now days we do not start this trek from Jiri so the bus goes straight to Bhandar from where we start our trek to Everest Base Camp. Overnight in a guest ho. We continue following our trail that descends down to Likhu Khola and crosses the bridge which leads us to the village of Kinja. We resume our walk passing through several terrace fields and farmhouses before reaching Sete village. Sete village is a small Sherpa village located on the ridge in the center of the rhododendron forest. Overnight at lodge. Leaving behind Sete village, we trek towards Junbesi. We ascend to Lamjura La Pass (3530m) passing through a forest filled with rhododendron. Lamjura Pass is the highest point between Jiri and Namche Bazaar. 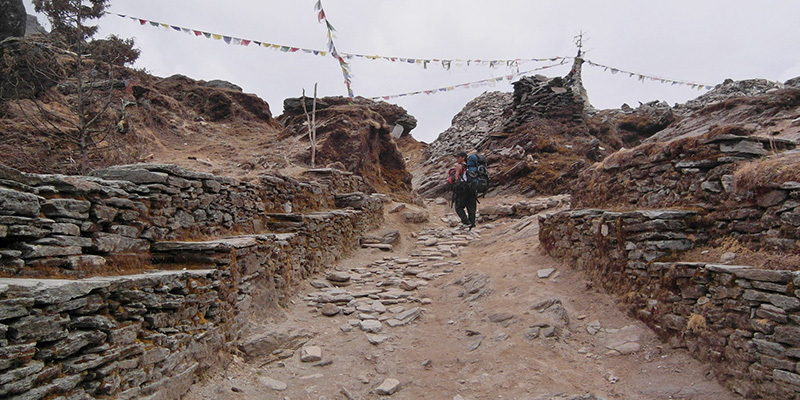 The trail descends then to the Sherpa village of Jubesi. Overnight at lodge in Junbesi. 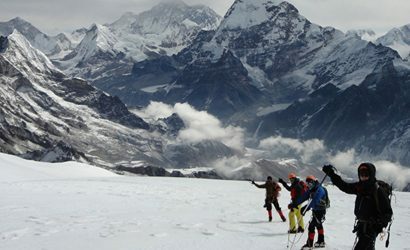 Ascending through the ridge, we can see the glimpse of Everest (8848m) slowly begin to appear. Leaving behind Junbesi, we continue to follow the trail that leads us to a small market in Salleri. We descend to Ringmo Khola and make our way up further to Ringmo followed by Takshindo La Pass (3100m). We reach Nunthala for an overnight stay. Relishing the stunning view of Karyolung (6511m), Kusum Kanguru (6367m), Gyachung Kang (7952m), Khumbila (5761m), and several other peaks, we descend to the Dudh Koshi River. Crossing over a suspension bridge, we pass through several Sherpa villages before arriving at Khari Khola. Overnight stay at Khari Khola. 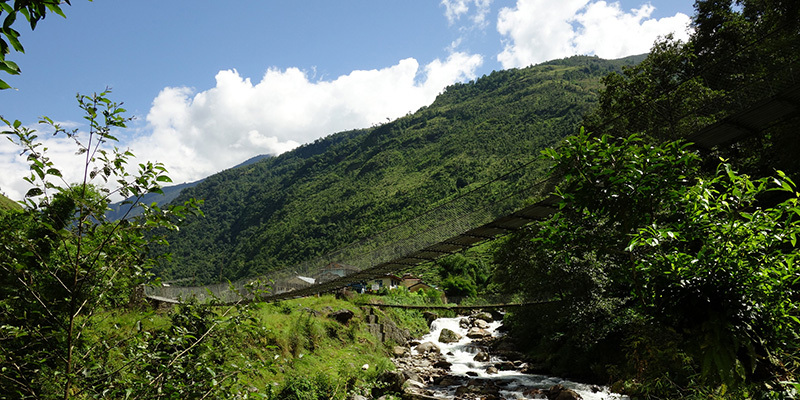 Crossing a suspension bridge over a stream, we ascend through the steep trail to reach Bupsa. We then walk through a dense forest filled with pine and oak trees where we may encounter monkeys and birds. The trail takes us through Paiya village before reaching Surke. Overnight in Surke. Leaving Surke behind, we trek towards Phakding following the trails of Dudh Koshi River. We start ascending to the large scattered village of Chaurikharka. Then passing through several Buddhist monuments, prayers flags, and Chortens along the way, we arrive in Phakding for an overnight stay. 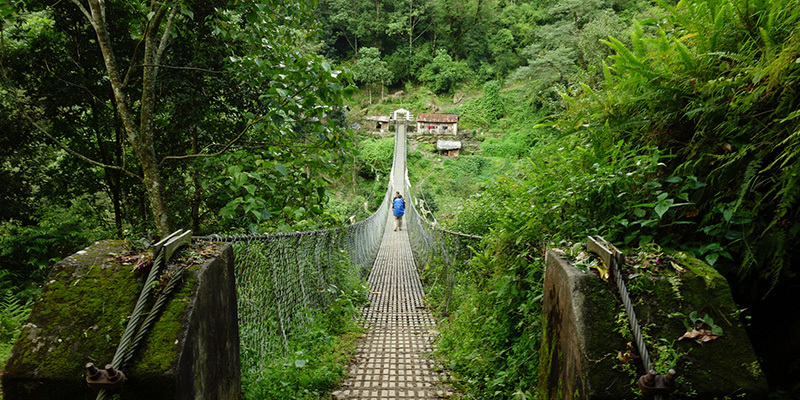 Moving alongside the Dudh Koshi River, we cross many suspension bridges en route to Namche Bazaar. Entering Sagarmatha National Park, the trail ascends steeply to reach Namche Bazaar, also known as the Gateway to Everest. Namche Bazaar is a Sherpa town full of restaurants, hotels, lodges, shops, bakery, etc. Overnight at hotel in Namche. Day 11: Acclimatization day at Namche Bazaar. Day hike to Khunde and Khumjung Village. We take a day off from trekking for acclimatization. We can either take rest or take a short pleasant hike to the village of Khunde and Khumjung. Khumjung is a Sherpa village in a beautiful valley which is home to an ancient monastery displaying the skull of Yeti and also features a mind-blowing vista of Everest (8848m) along with other snowy peaks. We also explore the Sherpa village of Khunde, located on the base of KhmbiYul Lha (5761m), a sacred mountain of the Sherpa community. We return back to Namche for the overnight stay. Accompanied by the magnificent view of mountains in the background, we trek through the dense forest. 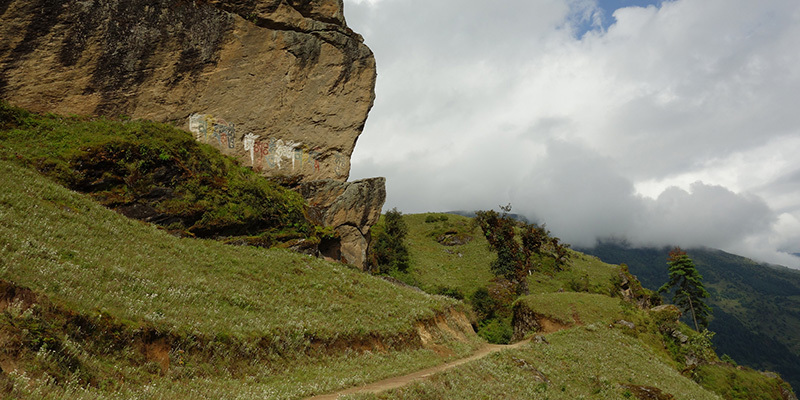 The trail ascends uphill through the jungle path and stone gate built by Lama before reaching Tengboche. Tengboche is a beautiful village housing the ancient Tengboche Monastery which is the most sacred monastery to the Sherpas of Khumbu region. 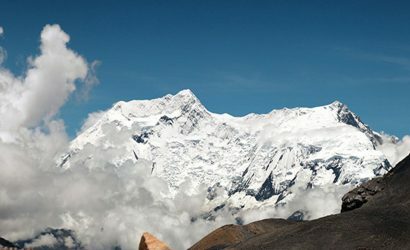 An alluring vista of the high Himalayas including Everest (8848m), Lhotse (8414m), and Cho Oyu (8188m) is also hosted by Tengboche Monastery. Overnight at lodge in Tengboche. Leaving behind the beautiful Tengboche, we start our trek towards Dingboche village. We pass through the forest filled with rhododendron to reach Deboche, and then we cross the bridge over the Imja River. We also come across several villages like Milingo, Pangboche, and Somare before reaching Dingboche. An ascent alongside the Imja River takes us to Dingboche for the overnight stay. Day 14: Acclimatization day. Optional day hike to Chhukhung Ri. To adjust to the high altitude, today we hike to Chhukhung Ri (5550m) which takes around 3-4 hours to reach from Dingboche. We first climb on a rocky trail and then on moraines to reach the top of Chhukhung Ri. Upon reaching, we are rewarded with a panoramic view of the snow-capped mountains like Everest (8848m), Ama Dablam (6856m), Lhotse (8414m), and Nuptse (7861m). We hike back to Dingboche for the overnight stay. Day 15: Trek to Lobuche. 5-6 hours. We continue our trek to Lobuche. We pass through the village of Pheriche enjoying the view of Taboche (6367m), Ama Dablam (6856m), and Nuptse (7861m) in the background. We continue our trek crossing the stream of Khumbu Glacier which leads us to Dughla before reaching Lobuche. Then we cross Thokla Pass (4830m) and climb alongside the moraines of Khumbu Glacier to arrive in Lobuche. Overnight at lodge. We continue to follow the trail that ascends to the steep terminal moraine of the Khumbu Glacier. Enjoying the view of glacial ponds and icebergs below the Khumbu Glacier, we arrive in Gorakshep. After checking in to Hotel, we set out to visit the Everest Base Camp which offers a mesmerizing view of Khumbu Icefall and the mountain peaks of Everest (8848m), Lhotse (8414m), Pumori (7161m), Lingtren (6749m), Khumbutse (6665m), and Nuptse (7861m) among others. We return back to Gorakshep for the overnight stay. We start an early morning climb to Kala Patthar Everest viewpoint to enjoy the beautiful view of sunrise. From the viewpoint, we can see the spectacular view of Mount Everest (8848m), Pumori (7161m), Lingtren (6749m), Nuptse (7861m), Khumbutse (6665m), and many other peaks. We descend to Pangboche via Lobuche and Piriche for the overnight stay. Day 18: Trek to Namche Bazaar. 6-7 hours. Leaving behind the village of Phortse, we trek towards Namche Bazaar. Following the flow of Dudh Koshi River, we retrace our trail to Namche passing through a forested trail leading to the settlements of Mong, Sanasa, Khyangjuma, and then Namche. Feel free to explore the restaurants and pubs in the vibrant town. Overnight at lodge in Namche. We continue our trek descending down to Sagarmatha National Park checkpoint to lower green valley. Passing several Sherpa villages on our way, we arrive at Monjo. We then continue to trek downhill via many Sherpa settlements and monasteries to reach Phakding. Crossing several suspension bridges, we pass through painted Mani walls and prayer wheels as we descend past several villages to reach Lukla. A continuous view of Kusum Kanguru (6367m) accompanies throughout the trek. Overnight at guest house in Lukla. Day 20: Fly from Lukla to Kathmandu. 35-40 minutes. 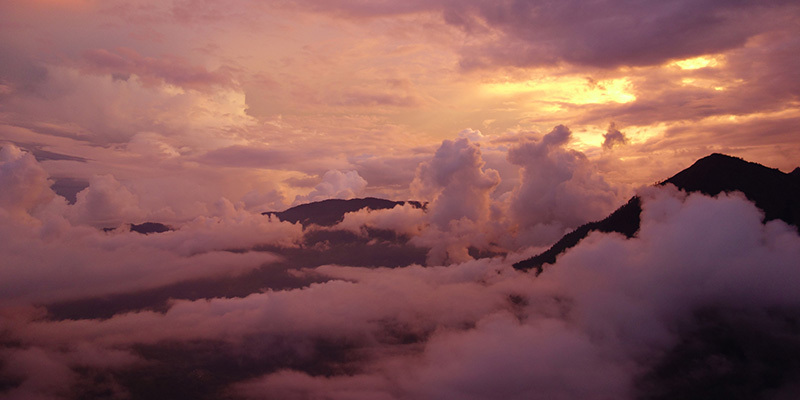 We catch an early morning scenic flight back from Lukla to Kathmandu. Upon reaching, we transfer you back to the hotel in Kathmandu. Later in the evening, a small farewell dinner will be held to celebrate the completion of the journey. Overnight in hotel. Day 21: Transfer to International Airport for your onward destination. We transfer you to Tribhuvan International Airport approximately 3 hours before the scheduled flight to your next destination.